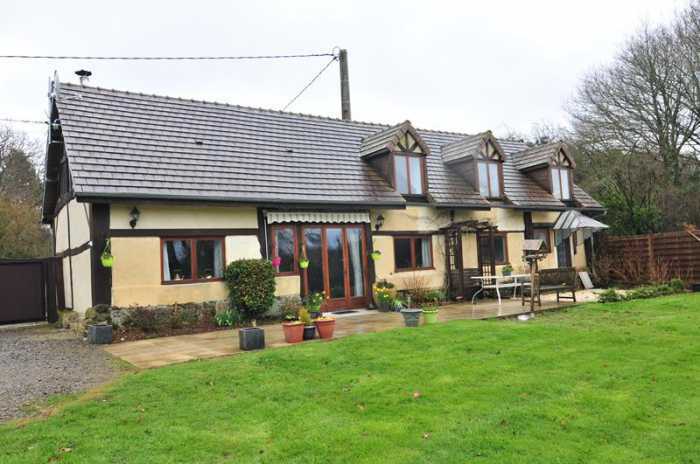 Properties for sale in Normandy, France - AHIN-SIF-00I005 La Ferté-Macé 61600 Converted Barn with half acre garden in the Orne with light rooms and open-plan living space. The property has been completely renovated from a barn by the present owners and offers light and airy open-plan living space. Viewing is recommended. The property is found in Orne in the Normandy region of France. It is between the towns of La Ferté-Macé (6 km) and Briouze (7 km) with all facilities. The closest airport is Deauville Airport (88 km) also nearby are Rennes Airport (121 km), or Dinard Airport (128 km). Within easy reach from the property is the Memorial de Caen (65 km), Bayeux Tapestry (Musée de la Tapisserie de Bayeux) (76 km), Le Mans Cathedral (79 km), or The Old Town of Le Mans (80 km). Briouze 7km , La Ferté-Macé 6 km. Open Plan Living Room/Dining Room/Kitchen 9.56 x 5.42m Glazed double doors and side panels and 2 windows to front elevation. Part galleried ceiling. Tiled floor. 2 Velux ceiling lights to rear elevation. Exposed beams and “A” frame. Stairs to first floor with cupboard under. Wood-burner. Utility Room 5.05 x 3.05m Glazed door to front elevation. Tiled floor. Exposed beams. Stairs to first floor with cupboard under. Shower Room Tiled floor. WC. Pedestal basin. Shower. Tiled walls. Window to front elevation. Space and plumbing for washing machine. Landing Wood flooring. Velux window to rear elevation. Smoke detector. Bedroom 1 3.84 x 3.20m Exposed beams. Window to front elevation. Convector heater. Sloping ceiling. Wood flooring. Bedroom 2 3.84 x 3.30m Exposed beams. Window to front and Velux window to rear elevations. Eaves storage space. Cloakroom with WC and vanity unit. En-Suite Bathroom Bath with mixer tap/shower fitment and tiled surround. Vanity unit. WC. Sloping ceiling. Velux window to rear elevation. Heated towel rail. Exposed beams. Double wooden gates lead to driveway. Gravel parking and turning area. Open Fronted wooden Garage with workshop area and storage. Fully enclosed garden laid to lawn with large terrace. Gravel seating area. Flower and shrub beds. Orchard. Rockery. Mains water, electricity and telephone. Drainage is to an all water septic tank. Electric heating on the first floor and woodburner on the ground floor.